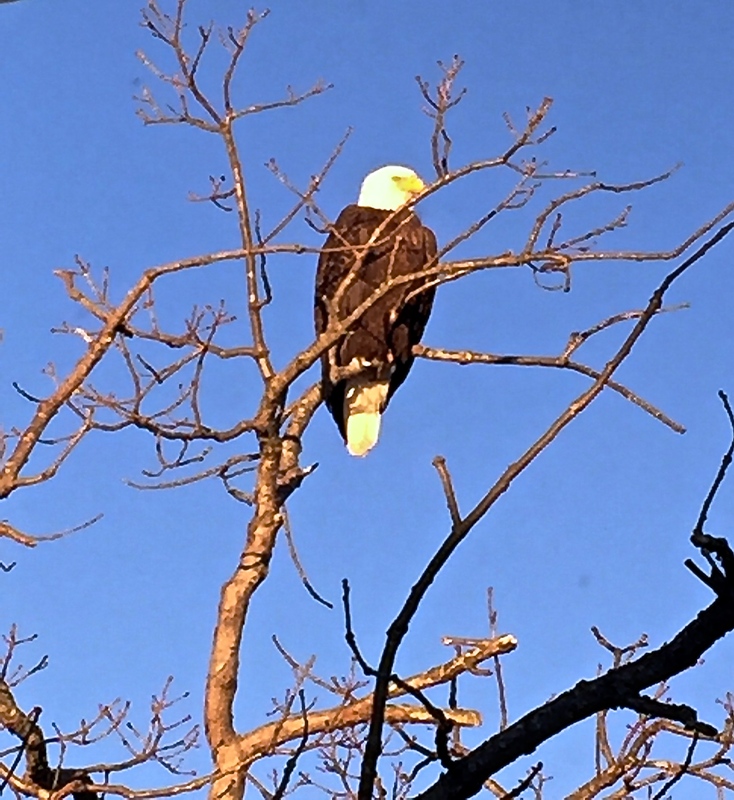 I was lucky enough to see this beautiful Bald Eagle perched right outside my window! It was so amazing he sat there for about 20 minutes just looking around. Watching him take off and soar over the Lake was just such an amazing sight.